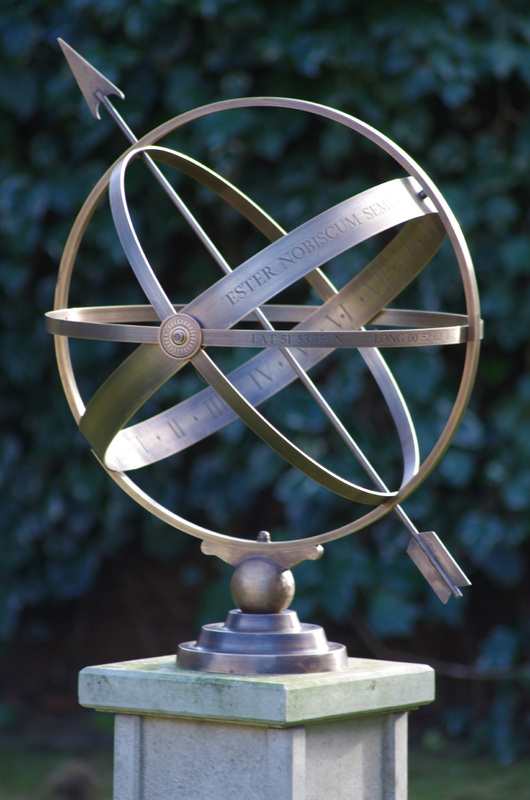 The Gemini range of armillary sphere sundials are made entirely of brass with a slightly weathered patina. 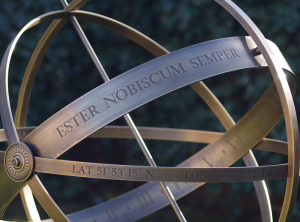 Made to, and engraved with, your latitude and longitude. The hours are engraved Roman numerals, but can be engraved with Arabic numbers. With a personal inscription of your own creation it would make an ideal gift for all occasions. Please contact us if you have any questions regarding the inscription lay out and cost.